Another month has passed, and Mirage has not made any major improvements for the dolphins at the Mirage. We have chosen to protest on Saturday, November 8th from 3-5pm. We must continue to put pressure on the facility and let our presence be known. 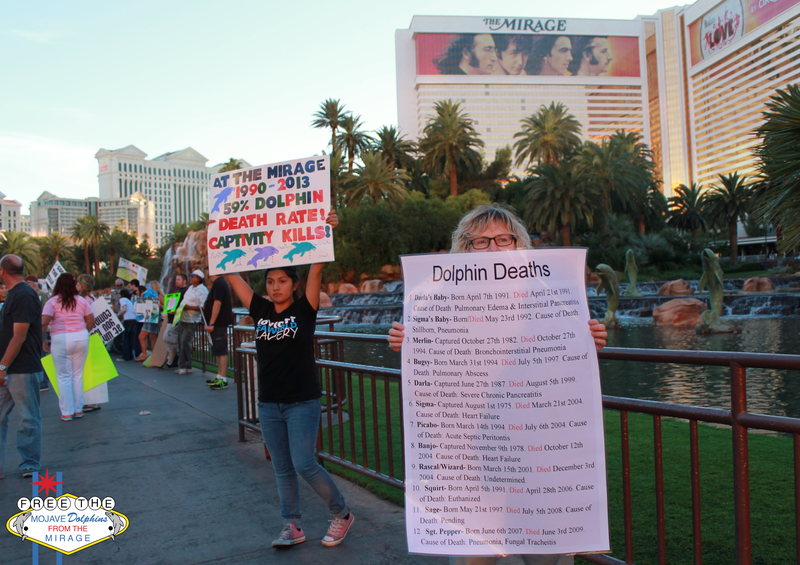 This is the first protest after Ric O’Barry visited, so it is very important that Mirage sees that we can still pull the numbers without him. 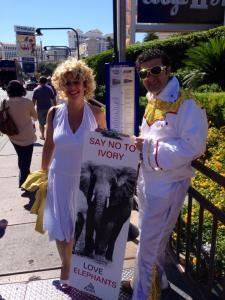 Our group always meets at the corner of Las Vegas Blvd and the northern entrance to the Mirage hotel. The tourists always come up to this section of the “lake” to take photographs, so try to stand in a long line back against the gate. The tourists will be forced to read our protest signs. If you want to stand by the road to attract the attention of the cars, please be careful to not step off the sidewalk, the buses come very close. We also must stay out of the way of the tourists and not block the foot traffic. We will bring posters for people to hold, and brochures to pass out. It would help tremendously if you were able to print some brochures and bring them because we will run out of what we have. A little history on this protest- On November 9th 1978, original Mojave Dolphin Banjo was captured from the wild. He passed away on October 12th 2004. He is father to Sage, Pablo, Rascal, Maverick, and HufNPuf. Pablo was born on November 13th 1996 to Duchess and Banjo. He was transferred to Gulf World on April 9th 2006 for breeding purposes (we received Lightning). Pablo passed away six months later on November 7th 2006. Most people do not realize how much money goes into making our demonstrations outside of the Mirage Hotel and Casino successful. 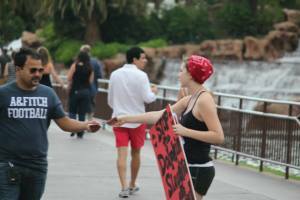 We are not just trying to get the attention of the hotel, we are trying to get the attention of the locals and tourists that are walking down the strip. We have found one of the most effective ways to get this information to them is a brochure or flyer. Tourists can stuff them into their purse and read them when they are on the plane later, or show them to their friends. Some may think they are a neat souvenir, a clean alternative to what is usually being handed out. Our group has designed several that talk about the horrors of dolphin captivity, gives details about the Mirage death pool, and we even have our own brochures for the Taiji slaughters. As more activists join the fight, our protests grow in numbers and we reach more people. 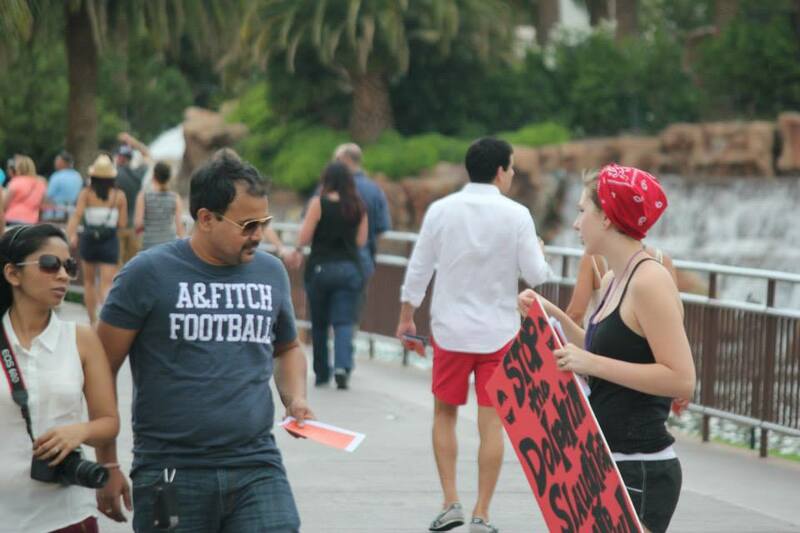 The protest last week, we handed out over 600 brochures. We would of ran out if one of our dedicated dolphin sisters did not come prepared with her own backup stash. The 600 brochures cost us $120 dollars to print out. That may not sound like a lot of money, but the two of us have ran our funds pretty low the last year and a half. After much debating, we have decided to accept donations towards protest supplies. Right now the money would go towards the cost to print brochures to hand out. Our next protest is on November 8th. What an amazing experience this last week was. Where to begin? 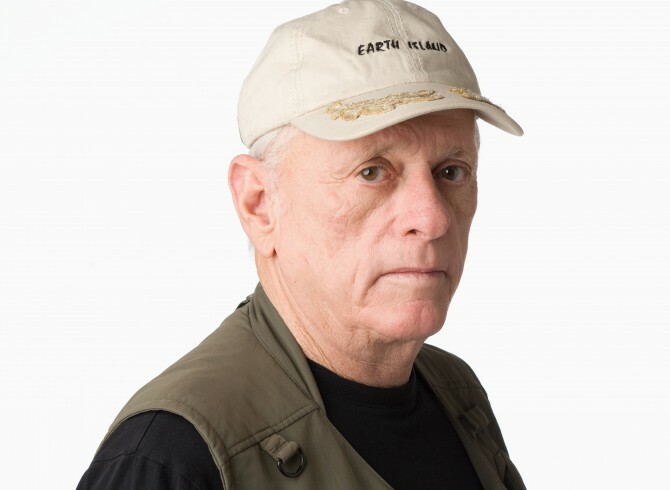 On Wednesday, we picked up Ric O’Barry to go do a radio show for KNPR Las Vegas. The interview lasted about 13 minutes, and gave him an opportunity to educate an audience that would probably never go looking for our cause otherwise. The interview has been uploaded online. Afterwards, My News 3 met us at his hotel for a quick interview. Hotel management came down, asking questions about the interview. We assured them the hotel would not be mentioned, and told them about the cause. Upper management also came down before the interview ended. We were informed that they usually cut these interviews off and do not let them happen. When Ric O’Barry finished his interview, the management team from the hotel shook his hand and said they were big fans. One worker said he got our flyers at his college, and would be attending the showing. The protest made the news, and many people have written online about their experience. Our friends at Vegas Rock Dog Radio spoke out about it on her radio show the following day. It starts at about 27:30, click to listen. Thanks for the shoutout, Sam. We really appreciate it, and look forward to working with you again in the future. We have uploaded all of the photos from both events onto our facebook page, and we are working on getting the video from the Q&A segment from the screening online for everyone to review, or watch for the first time. Please be patient while we get that up. As soon as it is available, you will be the first to know! We feel forever thankful to have Ric O’Barry set aside time in his schedule and pay us a visit in the middle of the Mojave Desert. This is an experience we will never forget. We are more motivated than ever to do what is right by these 10 dolphins. We hope you are too. 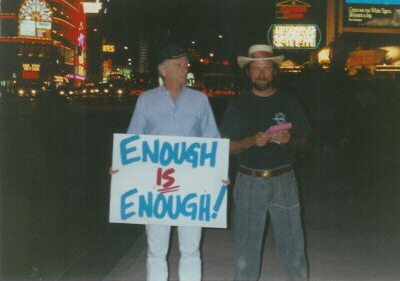 Call to Action: Vegas Media This Week! 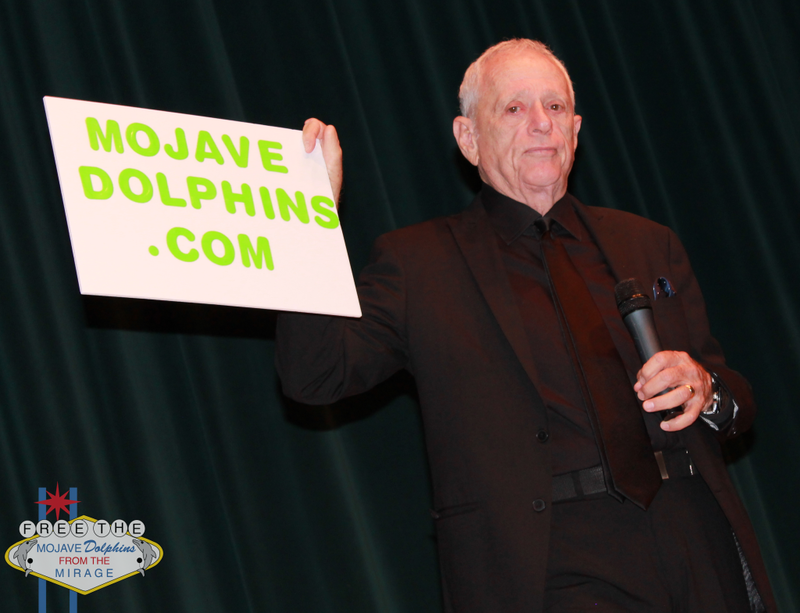 This is a very big week for us here at Mojave Dolphins. 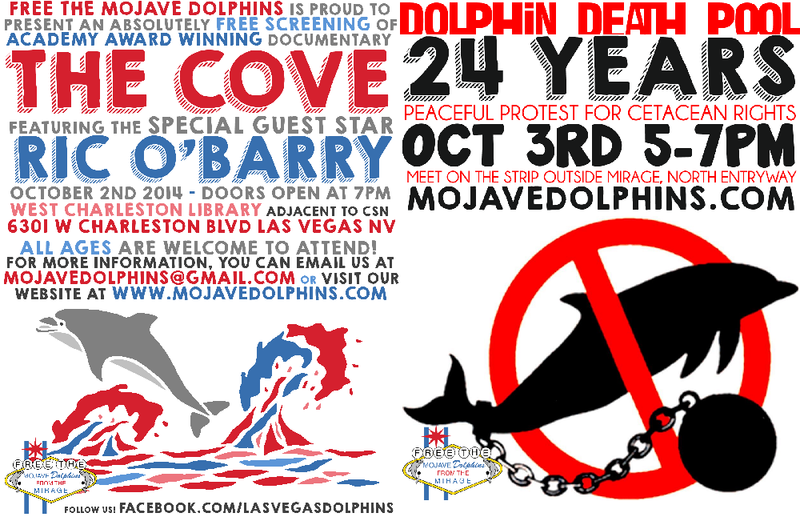 On Thursday, we are screening the Academy Award winning documentary “The Cove” for free, and the following night we have a giant protest outside of the Mirage. Both of these events will be attended by none other than Ric O’Barry himself. 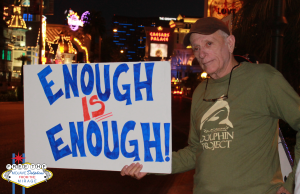 This is a chance to interview the man who many credit as starting the cetacean rights movement. 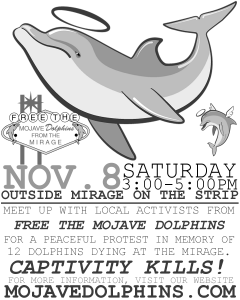 Ric O’Barry protested the Mirage in the 90’s, and has information about this facility. We feel local media should be covering this event. We have not gotten any media attention from FOX 5, 8 NEWS NOW, or the Las Vegas Weekly. 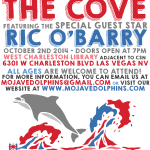 Ric O’Barry is coming to Las Vegas!!! 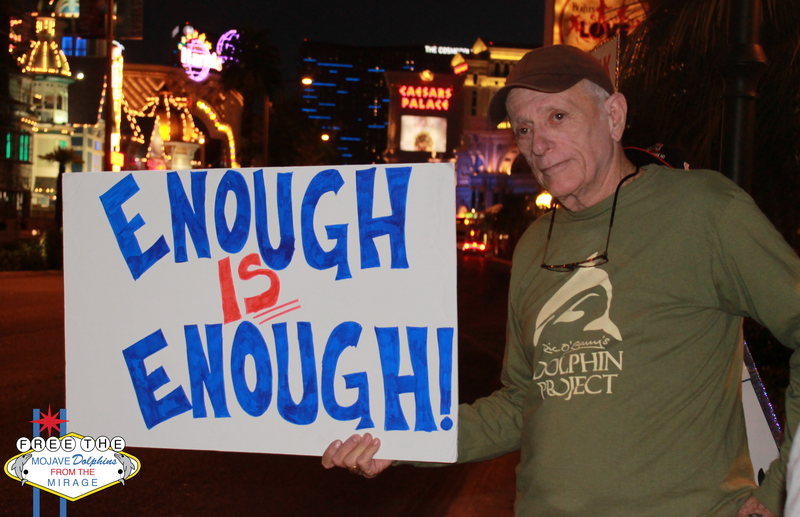 In exactly one week, Ric O’Barry will be in Las Vegas at a screening of the documentary that exposed the world to the slaughter of dolphins in Japan- The Cove. It was just 5 months ago we reached out to him for help, and just yesterday our cause received promotion on national TV on the Jane Velez Mitchell show during the Ric O’Barry segment. 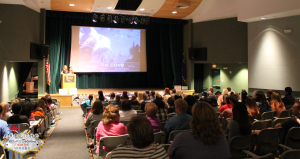 On October 2nd, we will be showing a screening of The Cove at the West Charleston Library. Doors open at 7pm, movie starts at 7:30. No tickets required; this is absolutely free! 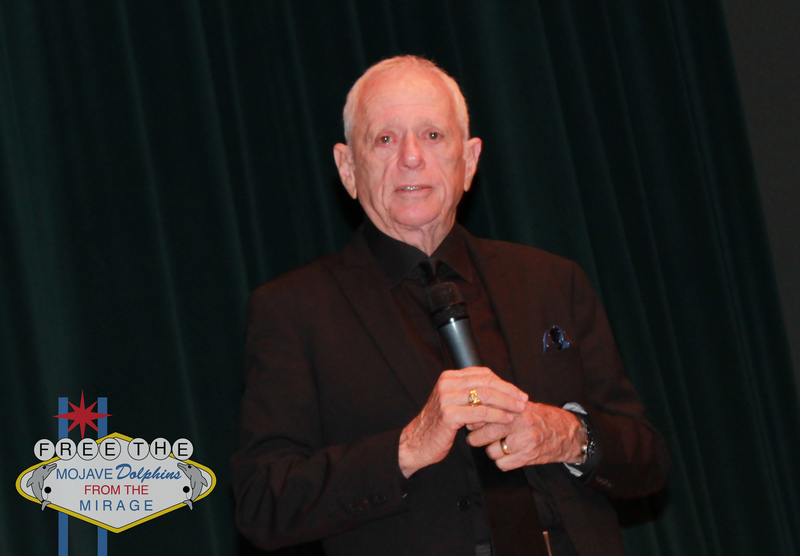 After the screening, Ric O’Barry will be available for a Q&A session. Start thinking of what you want to ask him! Dolphin Project will have a table set up with some swag for sale, so bring money if you want to buy anything. This screening is open to people of all ages. Some graphic content, view at your own discretion. 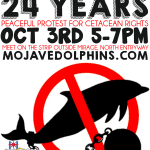 The next night, Friday October 3rd, we will be meeting up for a protest outside of the Mirage Hotel and Casino on the Las Vegas Strip. We will be out there from 5-7pm. Signs and literature will be provided, but feel free to bring your own. We will collect them at the end for safe keeping and future events. We will be working hard to educate the public about the horrors that go on out back behind these casino walls. 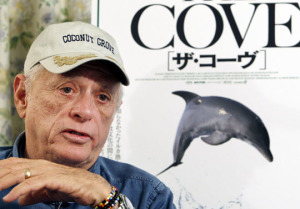 Ric O’Barry will be protesting right along side us. He protested the location back in the 90s, and is very excited to see the progress we have made this last year. We are looking forward to seeing our dolphin friends from around the country at this event, and we hope to see a lot of new faces, too! He is a man who used to capture and train dolphins in the 60s. You may know him as the trainer of the “Flipper” tv show dolphins. After one of the dolphins died in his arms, something inside of him changed. He has devoted his entire life since to saving dolphins and educating the public about the horrors of captivity. He is the founder of the Dolphin Project. He has rescued and released over 25 captive dolphins in Haiti, Colombia, Guatemala, Nicaragua, Brazil, the Bahamas, and the United States. He is the author of 3 books, Behind the Dolphin Smile, To Free a Dolphin, and Die Bucht. In 2009, he was featured in the Academy Award winning documentary “The Cove” about the annual dolphin slaughter in Taiji, Japan. 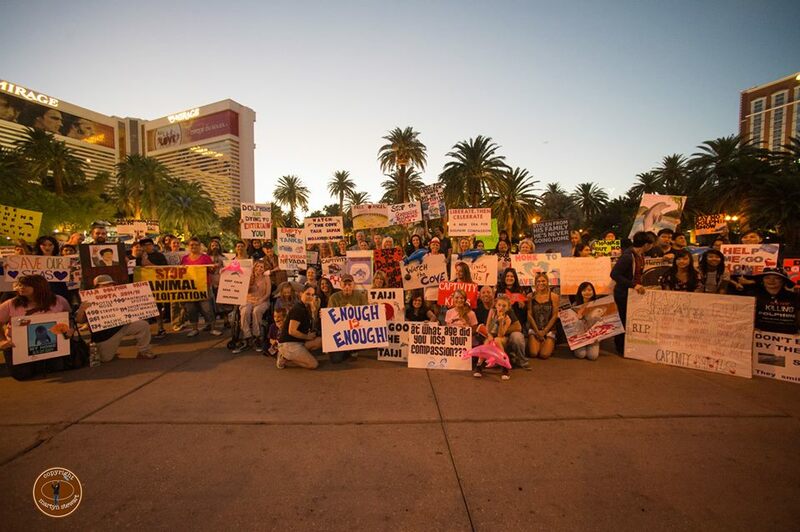 On Saturday October 4th, animal rights activists from Las Vegas are gathering in front of the Mirage Hotel and Casino on the strip at 11am and then marching south to City Center and back to raise awareness for lions, elephants, and rhinos being poached daily. They request that all attendees try to wear red to stand out, and bring noise makers. There will be an official “After March Party” at Senor Frogs patio from 3-8pm where 15% of the parties proceeds will go back to DazzleAfrica.Org to prevent further poaching in South Luangwa, Zambia. Please follow their facebook event page for more information. If you will be in the area, please consider supporting them on the strip. The protest in Las Vegas is only one of over 100 happening globally on World Animal Day. According to the official global website representing the march, more than 35,000 elephants are slaughtered every year for their ivory tusks, and a rhino is slaughtered every 9-11 hours for its horn. Africa loses 4 elephants to poachers EVERY HOUR, EVERY DAY of the year. It is estimated that less than 300,000 survive today. Africa loses 3 rhinos to poachers EACH DAY; of the 5 species of rhino, less than 25,000 survive today. With so few numbers left, and such a slow rate of reproduction, these two species are rapidly heading for extinction, unless we – ALL OF US – do something to ensure they survive. These remarkable and highly intelligent animals are being cruelly slaughtered in the most inhumane ways, with poachers often hacking off their tusks or horns while they are still alive. The agony these helpless creatures endure, and – especially for elephants – the anguish for their surviving family members, is unimaginable. Elephants have close family bonds and rely on the elders of their group to lead and teach them; when these are killed, the herd is left devastated and shattered, and if babies lose their mother they often will not survive either. The upsurge in the killing spree over the last 8 years has been driven by the demand for ivory and horn in Asian countries – China is the biggest consumer of ivory (70% of the world’s ivory ends up as trinkets for the Chinese middle class), and Vietnam is the main consumer of rhino horn. The money made from the illicit trade in ivory and rhino horn supports terrorist organizations in Africa and fuels civil strife and instability. Wildlife crime is estimated at $20 billion per year. The problem has become a global one, as trans-national criminal networks and heavily armed poaching gangs coordinate the bloody chain – from killing the animals, to smuggling their body parts for export, to selling them in outlets all over the world.